Greater Syria is the homeland of Jesus and Christianity. Abraham was from modern day Iraq, Moses from Egypt, and Muhammad from Mecca; Jesus was from Syria. Paul converted to Christianity and saw the light while walking through ‘The Street Called Straight’ in Damascus. Jesus’ followers were called Christians for the first time in Antioch, formerly part of Syria. One of the earliest churches, perhaps the earliest, is in Syria. Jihad vs. Ijtihad: A long standing conflict amongst Muslims between the sword vs. the pen. Sunni vs. Shiite: A conflict which began following the death of the Prophet Muhammad. Arabism vs. Islamism: The former has territorial limitations, the later has no territorial limitations. Syria vs. Israel: It is an essential component of the Palestinian problem, not the presumed Arab- Israeli conflict. West vs. East: A throwback to the Cold War, or its revival. Historic Persian, Ottoman and Arab Empires animosities: Each seeking regional hegemony. One is reminded of the proverbial saying, “When the elephants fight, the grass suffers.” Certainly, Eastern Christianity is suffering and threatened with extinction. Syria was a model of religious tolerance, common living and peaceful interaction amongst its religious, sectarian, cultural and ethnic components. Seven years of turmoil, in which various international and regional powers manipulated segments of Syrian society by supplying them with an abundance of weapons, money and sectarian ideologies, has heightened Eastern Christians’ fears. During the seven-year turmoil in Syria, the entire society has suffered; Sunnis, Shiites, Alawites, Yazidis, Kurds, Christians and others. Christians, being a weak and peaceful component of the society, have suffered immensely. Ma’aloula; a religious treasure for Christians globally, and the only city in the world where Aramaic – the language of Jesus Christ – is spoken, was attacked and besieged by ISIS. Numerous historic Churches were damaged, and many destroyed. Christians in Raqqa were forced by ISIS into one of three options: 1. Pay a penalty in pure gold – known as a ‘Jizya’ to keep their life and practice their faith – albeit in secret only; 2. Convert into Islam; or 3. Face immediate death. To top their pain, the kidnap of the two prominent Archbishops meant no Eastern Christian believer was safe. Eastern Christians: During the last hundred years, 1915-2015, since the Ottoman Genocide, Eastern Christians have been victims of a history of massacres, which meant that every Eastern Christian was a martyr, a potential martyr or a witness of martyrdom; if you fool me once, shame on you, if you fool me twice, shame on me. The ongoing regional turmoil has heightened their sense of insecurity. The answer to an age-old question Eastern Christians had on their mind: To flee Westwards or remain in their land, in the face of death, is increasingly becoming the former. a. The three monotheistic religions believe in one God and all ‘faithfuls’ are equal in citizenship, rights and duties. b. Christians participated in the rise of Arab Islamic civilization. They were pioneers in the modern Arab renaissance and they joined their Muslim brethren in resisting the Crusades, the Ottomans and Western colonialism.  c. Christians are natives of the land and they provide cultural, religious, educational, and economic, diversity. d. Christians are a positive link between the Muslims and the Christian West, particularly in view of the rise of Islamophobia. Massacres of Christians and their migration provide a pretext for the further precipitation of Islamophobia. e. Civilization is measured by the way it treats its minorities. The Christian West: The Crusades, Western colonialism, creation and continued support of Israel, support of authoritarian Arab political systems, military interventions, regime change, and the destabilization of Arab states made Muslims view Eastern Christians ‘guilty by association’. 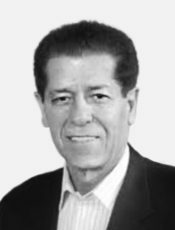 The Christian West helped Jews come to Palestine to establish Israel. Shouldn’t the same Christian West also help Eastern Christians remain in their homeland, rather than facilitate their emigration? Western Christians, particularly Christian Zionists, believe that the existence of Israel is necessary for the return of Jesus to his homeland. However, it would be a great disappointment for Jesus to return to his homeland, Syria and not find any of his followers. Prior to 2011, Eastern Christian religious leaders were encouraging Syrian Christians in the diaspora to return to Syria, their homeland, where life was safe and secure with great potential. Now, the same leaders are desperately trying to slow down Christian emigration. Eastern Christians’ loud cries for help to remain are blowing in the wind. 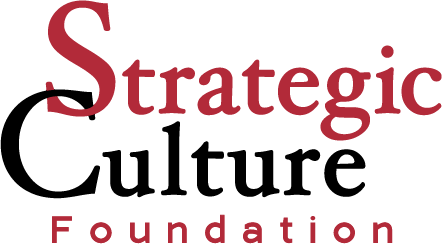 The views of individual contributors do not necessarily represent those of the Strategic Culture Foundation. 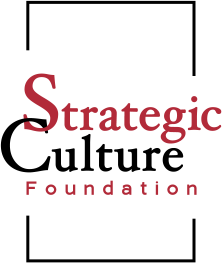 © 2010 - 2019 | Strategic Culture Foundation | Republishing is welcomed with reference to Strategic Culture online journal www.strategic-culture.org.